The Voice of “The C.A.R. Show”: Known affectionately as the “Voice of The C.A.R. 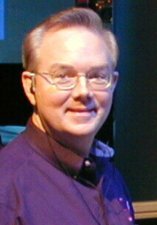 Show” ®, Steve Stewart is a commercial broadcasting veteran. All of those years of radio experience have played a significant role both in front of and behind the microphone in propelling “The C.A.R. Show ®” to it’s position as the premier automotive talk program on commercial radio. On the Air, Steve greets callers, keeps the show on schedule and plays the role of “everyman” to perfection when the discussion gets a little too “motor head” for the average listener. And, as Steve would quickly admit, he knows just enough about cars to be "dangerous". Behind the scenes, Steve is also the executive producer, coordinating all elements of the show with their chief engineer Brian Morton giving it a professional and distinctive sound and style. Steve’s sardonic wit and golden vocal chords blend with Roger and Dan’s on-air personas. Together, they create a likable radio team that the audience can’t get enough of!